Tags: 1964, Alice's Adventures Under Ground, University Microfilms Inc. This edition published by University Microfilms Inc., Ann Arbor, Mi, 1964. Hardback in original clear cover with slipcase. Really rather a pretty edition. This manuscript – one of the British Library’s best – loved treasures – is the original version of Alice’s Adventures in Wonderland, by Lewis Carroll, the pen-name of Charles Dodgson, an Oxford mathematician. Dodgson was fond of children and became friends with Lorina, Alice and Edith Liddell, the young daughters of the Dean of his college, Christ Church. One summer’s day in 1862 he entertained them on a boat trip with a story of Alice’s adventures in a magical world entered through a rabbit-hole. The ten-year-old Alice was so entranced that she begged him to write it down for her. 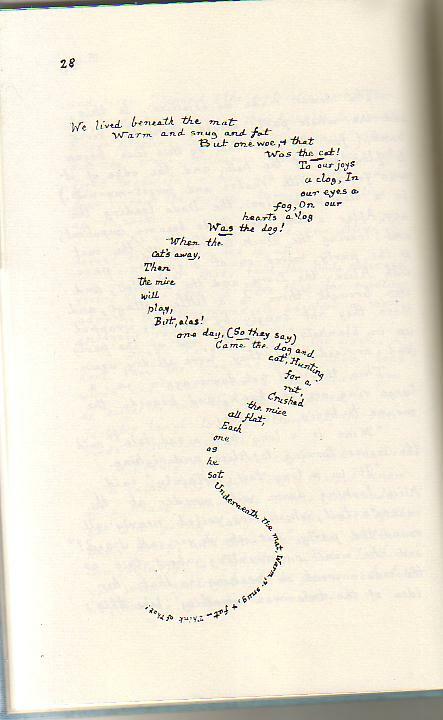 It took him some time to write out the tale – in a tiny, neat hand – and complete the 37 illustrations. Alice finally received the 90-page book, dedicated to ‘a dear child, in memory of a summer day’, in November 1864. You can read the full text and see the pictures on their site. Bought in Quintos for a tenner. Bargain. 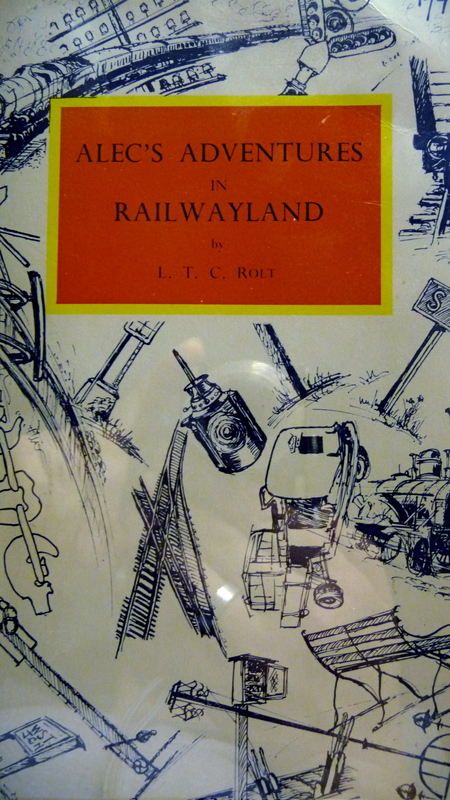 Alec’s adventures in Railwayland by L. T. C. Rolt Published 1964 by Ian Allan (London). Lionel Thomas Caswall Rolt (1910–1974) was the biographer of Isambard Kingdom Brunel and Thomas Telford. He was an enthusiast for both vintage cars and heritage railways. This is a satirical look at Dr. Beeching’s reforms written as an Alice sequel. A very sweet little pamphlet of a book, with illustrations by Margaret Calvert. Familiar characters include the Tweedles and the Dormouse. 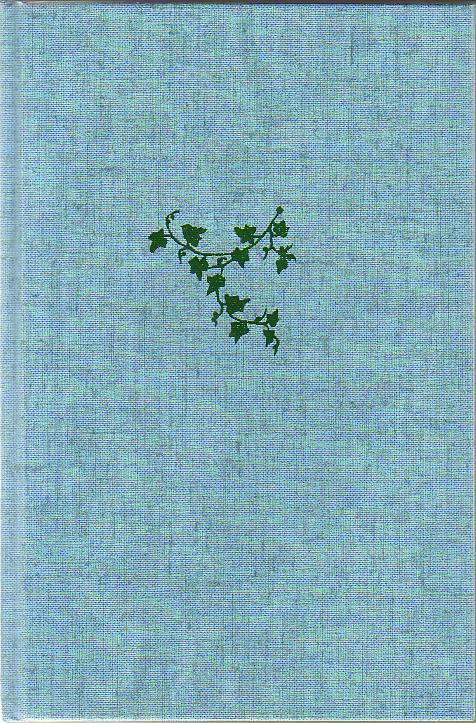 Alice in Many Tongues: The Translations of Alice in Wonderland by Warren Weaver. Published by the University of Wisconsin Press, 1964. Hardback first edition with dust jacket. Warren Weaver was a civil engineer and mathematician who studied at the University of Wisconsin. He was a pioneer of machine translation. 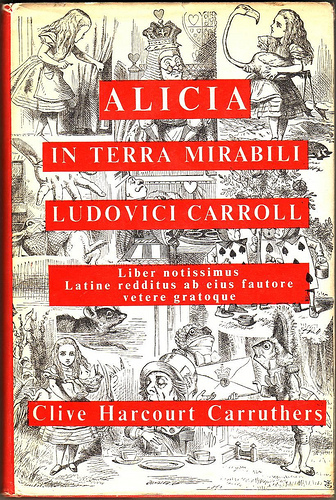 There is a history of translations of Alice’s Adventures in Wonderland, and a bibliography at the back of all the foreign editions that Weaver was able to locate. 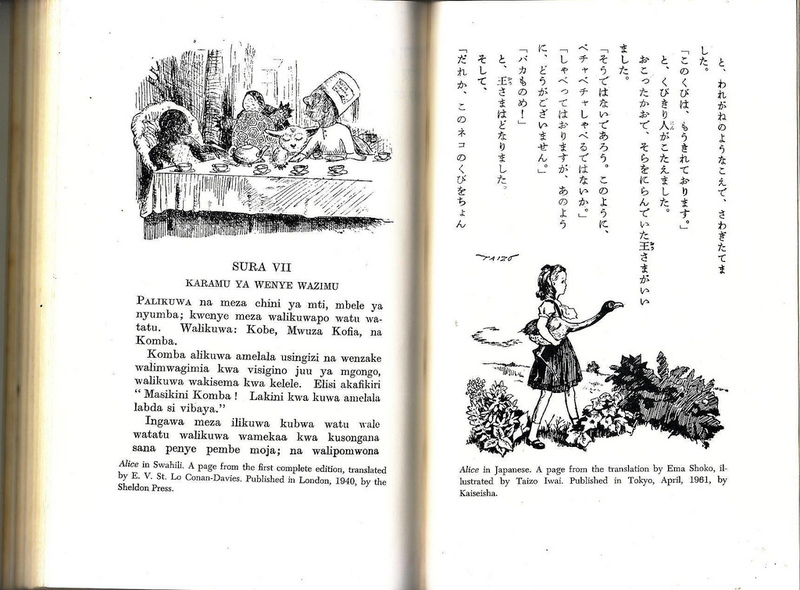 There are some pictures of some of the versions: including Hebrew, Swedish, Swahili, Bengali and Thai. Bought in the bookshop on Curzon Street with the Nancy Mitford blue plaque.